This spring, we have welcomed Dr.Hung Phanto the UML Department of Mathematical Sciences. Dr. Phan is an applied mathematician who was most recently at the University of British Columbia, Okanagan. No doubt he has been right at home in the past few weeks as we’ve had two major snow storms! Hung’s general research areas are Optimization, Numerical Methods, and Variational Analysis. His Ph. D. was earned at Wayne State University, with a thesis titled New Variational Principles with Applications in Optimization Theory and Algorithms (Advisor: Boris Mordukhovich). This is the first Khronicles since last December, and we’ve been busy with several personnel changes since then. Early in January of this year we were authorized to do faculty searches for two tenure-track positions, a statistician and an applied mathematician. Although it was a late start, we are happy to announce that both searches were successful. Dr. Jong Soo Lee, a statistician who was most recently at the University of Delaware, has joined us this fall. His general research areas are functional data analysis, nonparametric statistics and the application of statistics. His Ph. D. was earned at Rice University with a thesis titled Aspects of Functional Data Inference and Its Applications (Advisor: Dennis Cox). 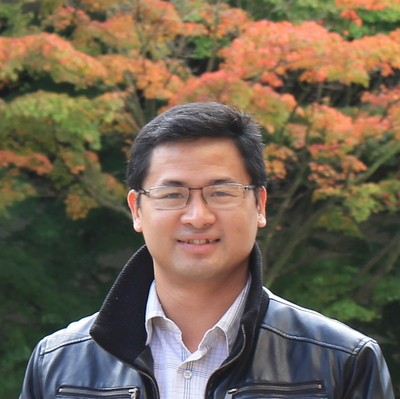 Dr. Hung Phan, an applied mathematician who was most recently at the University of British Columbia, Okanagan, will join us in the spring. His general research areas are Optimization, Numerical Methods, and Variational Analysis. His Ph. D. was earned at Wayne State University, with a thesis titled New Variational Principles with Applications in Optimization Theory and Algorithms (Advisor: Boris Mordukhovich). This infusion of new personnel comes just in time to offset losses due to retirement. Charlie Byrne retired after being with us since 1986. He served as department chair for a term, and graduate coordinator for many years. His expertise in areas such as optimization and image processing is hard to replace. 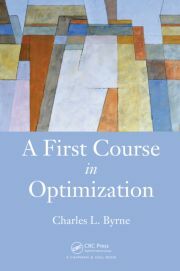 Congratulations to Charlie on his recently published book, An Introduction to Optimization. In addition, we’ve lost the services of Alan Kaplan, who retired after forty years of service. His many contributions to the department will be missed. More good news is that we’ve been authorized to do two more searches for tenure-track faculty. We’ve decided to search for another statistician and a mathematician. The research area for the mathematician is a bit less focused that in our earlier search. To see details of our postings, go to the UML Jobs site. There is plenty of other news to report, but I intend to make these postings more frequent. So I’ll close here.